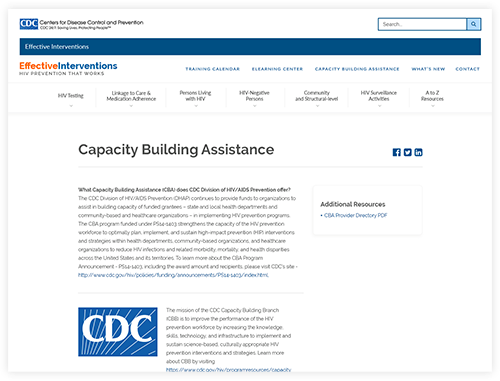 Mobomo worked with the CDC on the redesign of the Effective Interventions website. The current site had been added to, changed, and updated by multiple entities over the years. 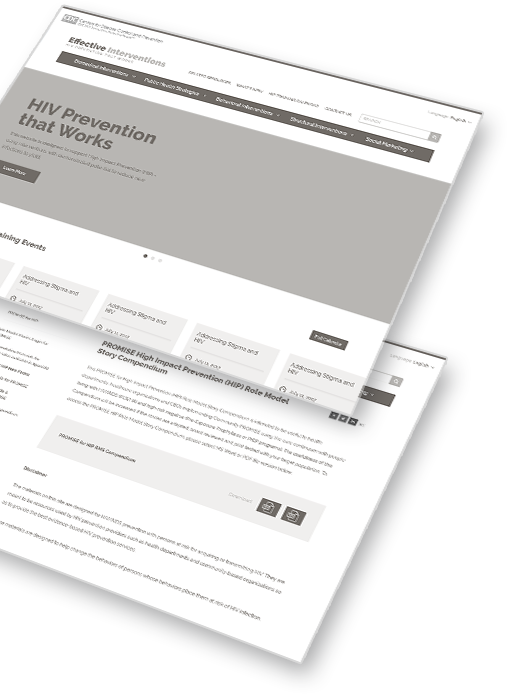 The goal for this engagement was to create a clear and clean new flow for the user experience, and to ensure all design elements were consistent across all pages of the site. Mobomo began by running a series of user testing surveys with frequent visitors of the Effective Interventions site to understand their main focuses for visiting the site, their current likes/dislikes, and what would be beneficial for them in the new site. 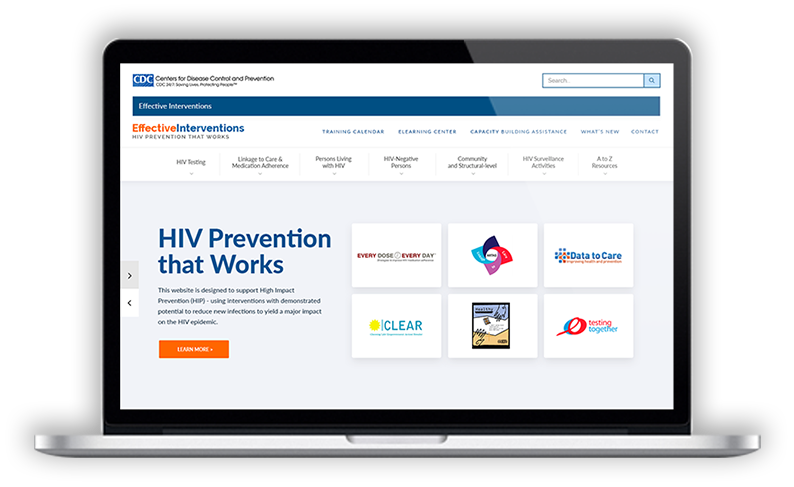 The feedback we gathered and analyzed helped to give the Mobomo design a clear direction, and what elements needed to be highlighted throughout the website. 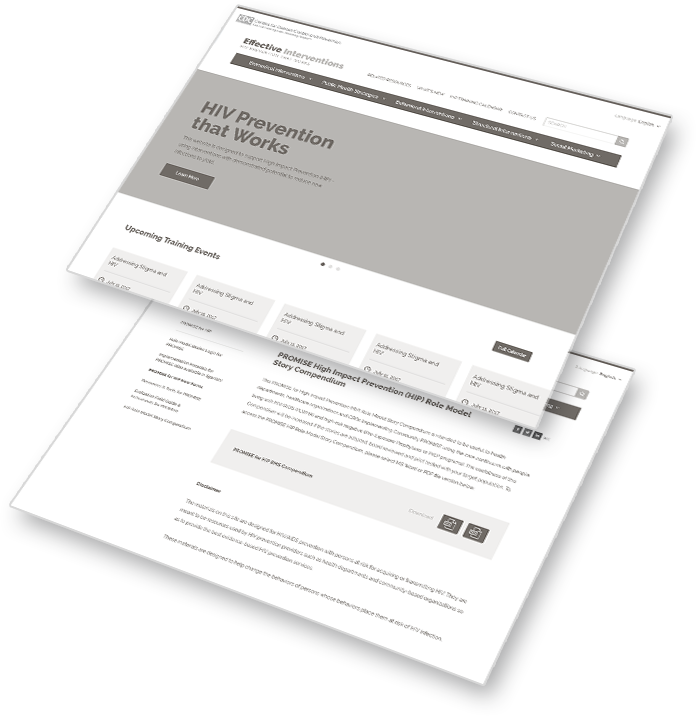 Because the website is so large and has so many important pieces, our team started out by creating wireframe options of the home page first to ensure all needs were met and that the initial layout was headed in the right direction. 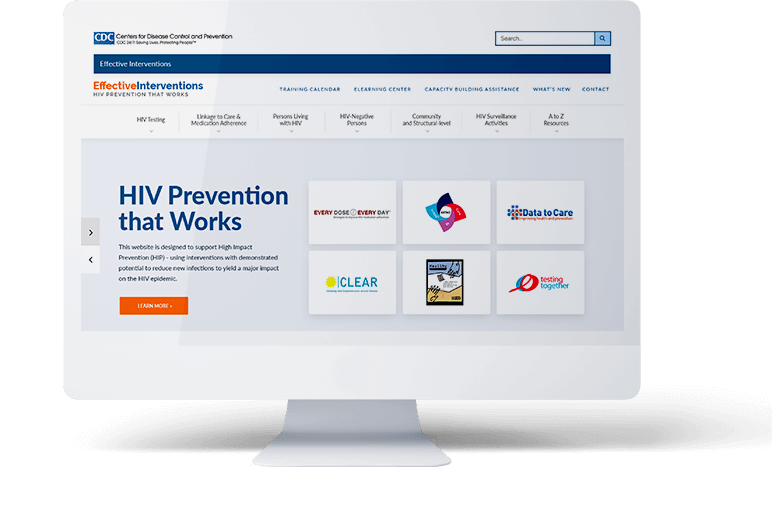 From there, we added in design elements to bring the layout to life, and once approval was given, we moved to the inner page designs to carry out those same design elements and structure that was used in the home page. 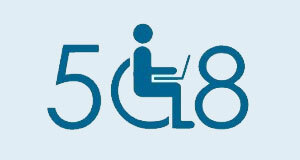 Section 508 requires Federal agencies to ensure that individuals with disabilities who are members of the public or Federal employees have access to and use of electronic and information technology that is comparable to that provided to individuals without disabilities, unless an undue burden would be imposed on the agency. Once the bulk of the designs were completed, Mobomo created a prototype for review. 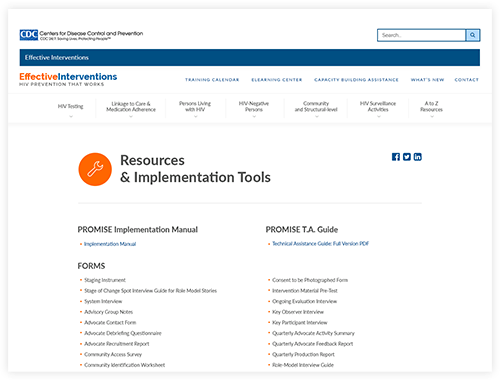 We took all feedback and notes and made necessary changes to meet their preferences. Their development team members have been closely involved as well in order to stay in the loop with progress and get assets to start the build as they were approved. 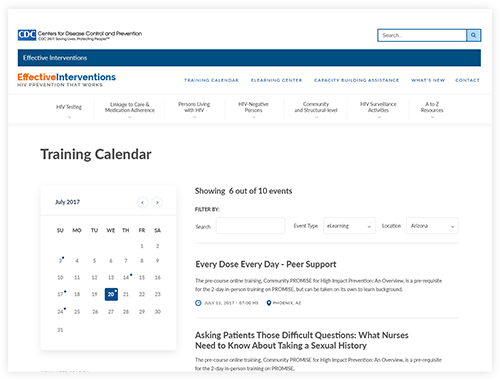 The newly redesigned website for Effective Interventions should be going live in early spring of 2018.